Since Homo Sapiens created fire it is entangled with technology. We used it to battle predators, diseases, and each other. While constantly picking the fruits of our newest inventions, we kept improving our technology and build a technology advanced, and technology depended, society. In his book Homo Deus: A Brief History of Tomorrow history Professor Yuval Noah Harari claims humanity is now waking up to the realization that we are so advanced that famine, plague, and war are becoming manageable challenges. We are not there yet, and still have a lot of work to do on national and global level, but statistics show that for more and more people famine, plague, and war aren’t day-to-day threats anymore. Harari’s daring forecast is that humanity has tasted success and will aim for even more challenging goals: ‘To find the key to happiness’. According to Harari modern people feel happiness entitled and anything which makes them dissatisfied is seen as a violation of their basic human rights. People expect the state to serve them and the right to pursuit happiness has turned into the right to happiness. It seems there is a willingness among some tech leaders as well to contribute to our well-being on the long term. Elon Musk and Sam Altman (president of Y Combinator) advocate for experiments with Universal Basic Income, Bill Gates for robot taxes, Mo Gawdat (Chief Business Officer at Google’s [X]) is on a personal mission to make 10 million people happy, and Mark Zuckerberg gives Harvard’s class of 2017 a lesson on his meaning of life: “We should have a society that measures progress not just by economic metrics like GDP, but by how many of us have a role we find meaningful.” Zuckerberg then bemoaned the current state of income inequality: he finds it ludicrous that he is so disproportionately wealthy compared to his old Harvard classmates. But ratings and reviews are old-fashioned, businesses are starting to dig deeper into the opinions and feelings of their customers. Insights from fields like neurology, positive psychology and artificial intelligence have been converted into strategies, products and services to measure happiness. Cognitive API’s like facial and emotion recognition and sentiment analysis show the real inner feelings of the customer. It’s used in all kinds of ways, e.g. to analyse emotional responses on commercials (and thus measuring the potent succes of the commercial),to analyse recorded insurance claims on lying, and to give people with autism an emotional intelligent prothesis. Try it here yourself. The predictions for these markets are high: it is estimated that the affective computing market will grow from $12.2 billion in 2016 to $53.98 billion in 2021. Happiness is becoming humanity’s explicit goal (instead of only GDP for instance). I’m hooked on the subject ‘Digital Happiness’ and am looking forward to discuss this with as many people as possible. To find more answers and hopefully even more questions. 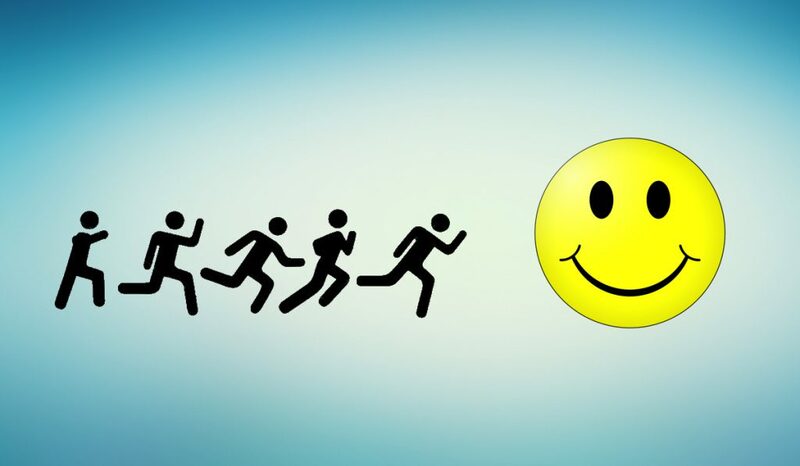 What is the return on investment and the happiness advantage? Do people need to learn to be sad? How will the social-credit experiments, combined with it’s growing DNA-databank, in China develop? Will China get ultimate social control over it’s citizens thanks to advanced technology? How does the rise of images and video (Vlogs, SnapChat, Instagram, Twitch, Mukbang) contribute to the quality of our digital conversations? Will it be a counter for the unhappiness gained from Facebook use? How can a company hook on to the digital happiness architecture of the costumer? Fake news storms Internet. Companies get ready to combat. Nice blog on very relevant developments. I think you are right in stating that the pursuit of happiness will lead to more attention to emotional responses of humans and sentient machines. However at the end you provide only one link to a emotion reading experience. 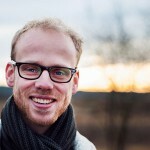 I think it would be nice to add another link, to the FaceReader software of Vicar Vision, an Amsterdam based AI company. 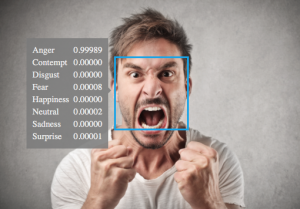 The FaceReader software has a strong background in emotion theory and is used in a lot of scientific research but hasn’t made it yet to the general public. –> In order to become ‘digital happy’, you have to build new characteristics, e.g. 1) to resist the growing persuasive power of digital technologies, or 2) to be able to reflect upon your online behaviour and see the connections between your online and offline life, 3) etc. Thank you for showing me Vicar Vision Adri :).